I figured it would be a good idea to get behind the little things I’ve been picking off the internet to help me get a better image of the game’s world. Disclaimer: while I might grab some stuff from them, there is no real way of knowing what will or won’t make it, so don’t take them all as primary sources from what I will eventually put into writing. 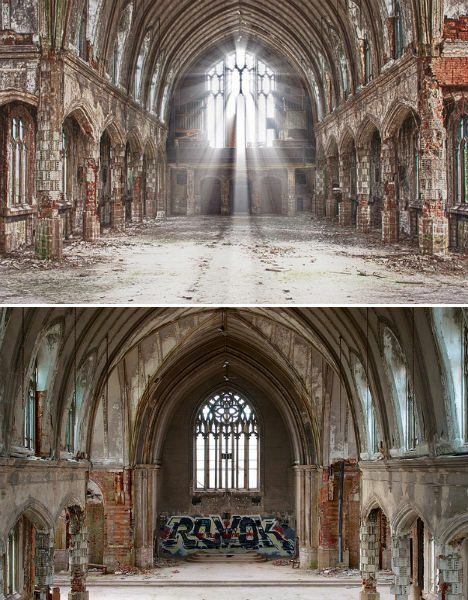 Why I’m Stealing It: The photo above is a pretty cool concept of a supposed future city. Honestly, though, does the place look…advanced? There’s a goat sitting down in the bottom right corner, and the irregular, raw-cut openings have cloths of many colors draped on them. It’s a rocky mess. But a cool one. Description: Oh boy. A little backstory – I run into quite a bit of end-times sites when I sift through lists of links for my day job. This one is the latest of the batch. To give you an idea of the crazy in this one, there is a post where, using completely insane “research”, the ethnicity of the future Antichrist is revealed. It even has end notes. Why I’m Stealing It: It’s a treasure trove of insane ramblings. The important part of the game is that there needs to be a need of an impending doom, of prophecies and leaders doing what they can to make them real. While I don’t think the blog creator is trying to bring people to a hidden compound out in Middle-of-Nowhere, USA, the amount of effort made into it shows that even the most irrational things have a solid base of sorts. 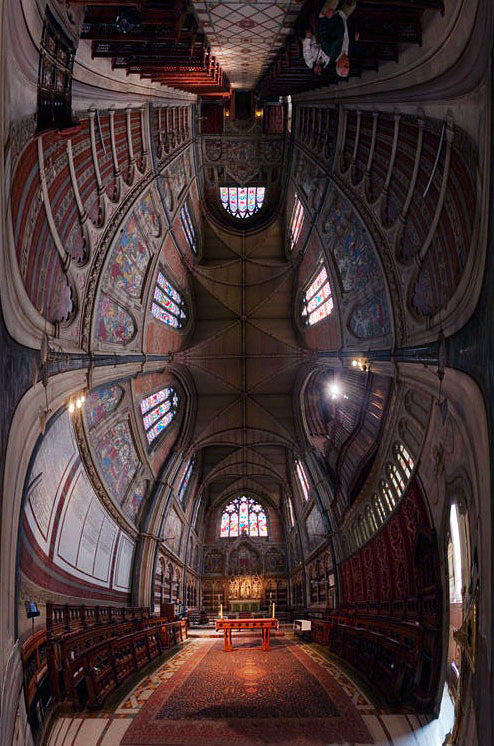 Description: It’s a weird fish-eye lens take on a church. Why I’m Stealing It: It just looked cool. Description: While I’m still on structures, I found this photo set of broken-down areas in the US, Spain, Scotland, and other places. Why I’m Stealing It: The world of the card game is strewn with crumbling buildings that house makeshift shrines. These structures are going to be good source. This entry was posted in Theme by jesusgaray. Bookmark the permalink.